My world is bathed, enveloped, encased in snow. no warming up the car for a photo venture. the large full view, the medium sized one, and the small close-up version. Somehow, the small size always seems to fit just right. the feeling of walking into a world that others may just pass by unnoticed. When you're out shooting what size view fits you? Wishing you a happy and creative week. Linking at The Creative Exchange. This is such an amazing posts. The photos are lovely and the words beautiful. The last photo is just magical. indeed, sometimes we are so caught of the big picture, that we ignore the small and amazing details. beautiful post! One word: DELICIOUS! Each and every photo from this series speaks to me. You capture everything I love: the curves, the light, the shade, the meandering and adorable details, which I too like to capture when I can. I am also pleased to see my favourite stick people meeting up for a chat in photo number four! I love the rainbow effect on the snow crystals in that last shot. Beautiful photography, capturing the beauty in our world. these scenes are all perfect. The light is the main ingredient and I always prefer light to colour. Especially when so well applied. See, when i look at these i just feel spoilt. What a pleasure to be viewing shots like these. Your first one is even more inspiring. Wonderful photos. Your last picture is adorable. Have a nice new week, Anna. 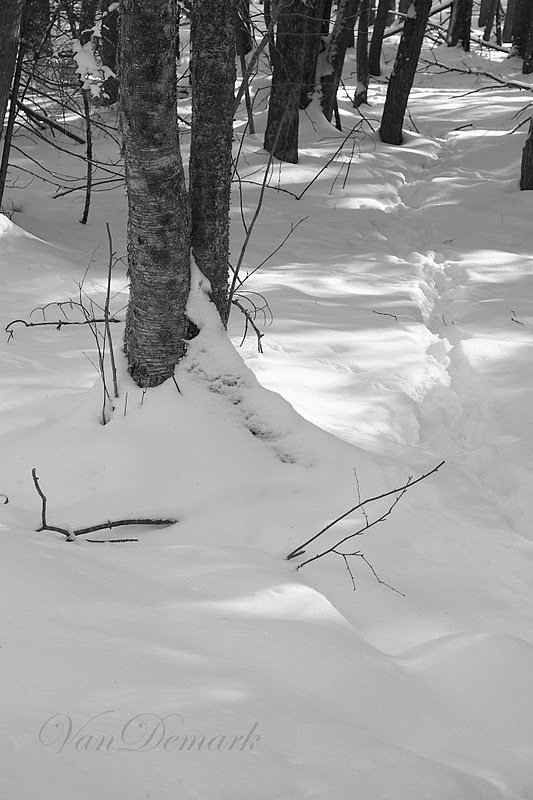 Your pictures are gorgeous - nothing quite like untouched fresh snow. Looks almost magical. How wonderful these are Anna. 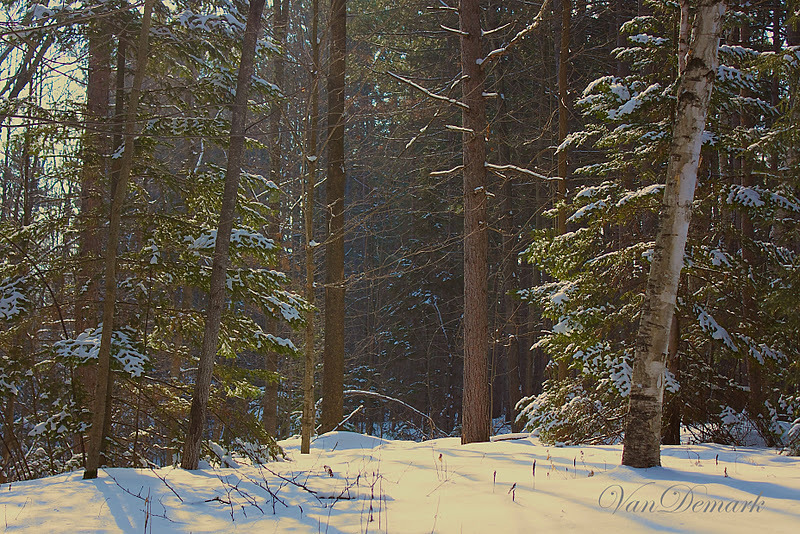 Your winter scenes are always so beautiful. I love the simplicity of them, and the colors in the last one here are amazing. You definitely caught the light at the perfect time. Oh..I'm so envious of your beautiful white snow. We have none - at the moment. I'm missing winter! 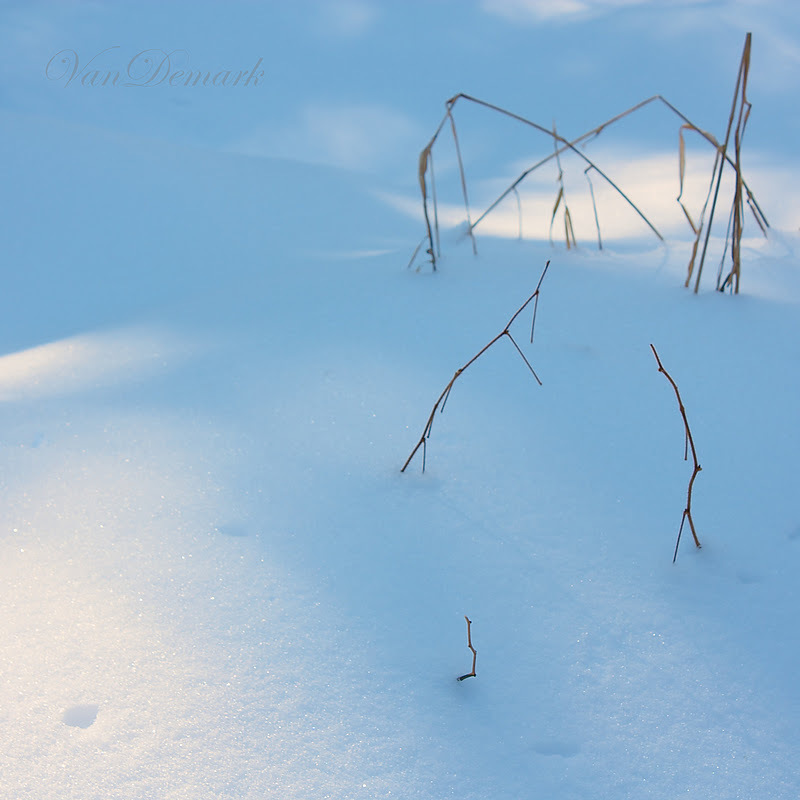 Gorgeous examples of how lovely winter and snow can be! Stunning shots. I love the simple closeups. Take care! Thanks so much for posting these series! I vote for small -- at least in this set of images. I love the sparkle of the snow -- I can almost see the crystals. Beautiful post! Oh, that last shot is so gorgeous! You do beautiful things with images of snow!! Wow, these are all nice; that last photo is fantastic! I love the composition and the light, especially the sparkles! I'm with you on leaning toward smaller scale views; the intimacy intrigues me. Oh wow. That last image looks like it was sprinkled with sparkles. Very nice. You almost make me want to see snow. Those snow crystals are unreal in the last photo! beautiful! wishing the snow here...snowless in Michigan! beautiful anna! i love the sparkly snow in the last shot. Such beautiful photos. That last one is amazing with the glistening snow!!! Each photo is lovely...but the last one is oh so wonderful. Love it. What a wonderful question. I'll have to think on that. It may depend on my mood. You captured some things I definitely would have mised. The last shot-the light is spectacular. My other fave is the 2nd shot in B and W. Two moods I think. 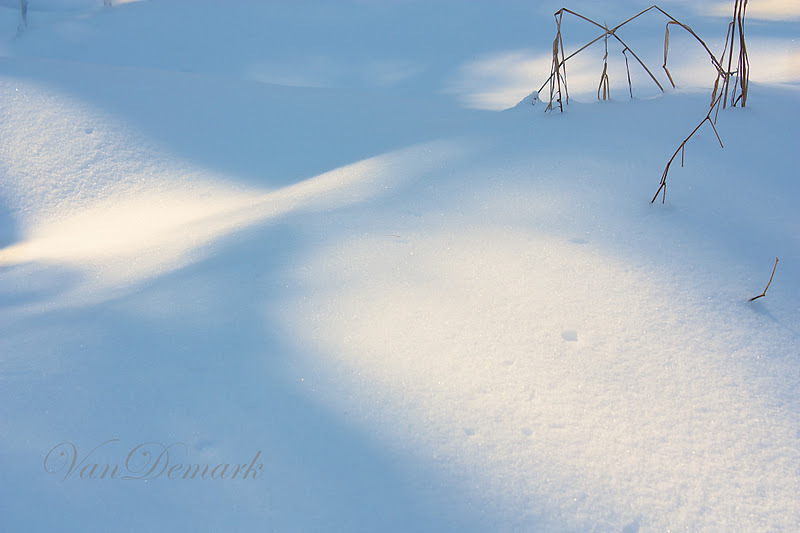 Love the patches of light and beautiful sparkles in that snow! I play around as well, take a lot of different angles and views, color, b&w... etc. And sometimes only end up with one that I like. The first and last here are my favorites. 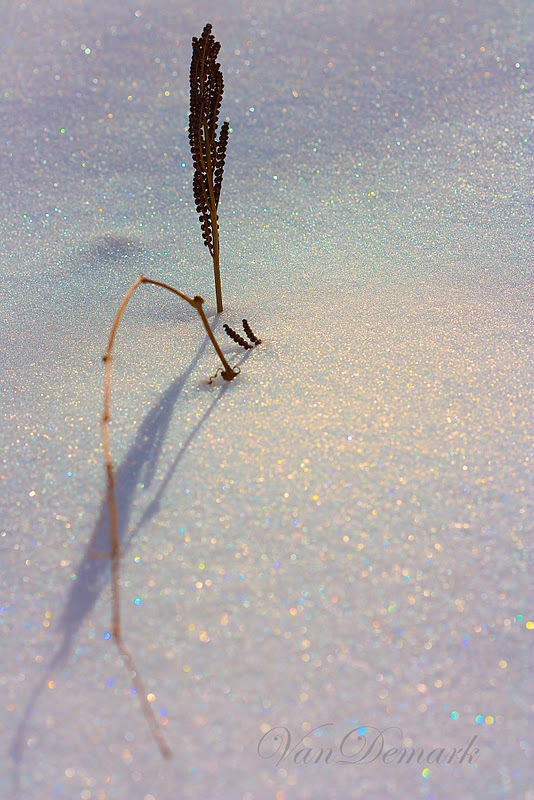 So many colors in the snow that often go unnoticed. The sparkle of that last photo is stunning. That one's a treasure for sure. Love the colors of that last image Anna! 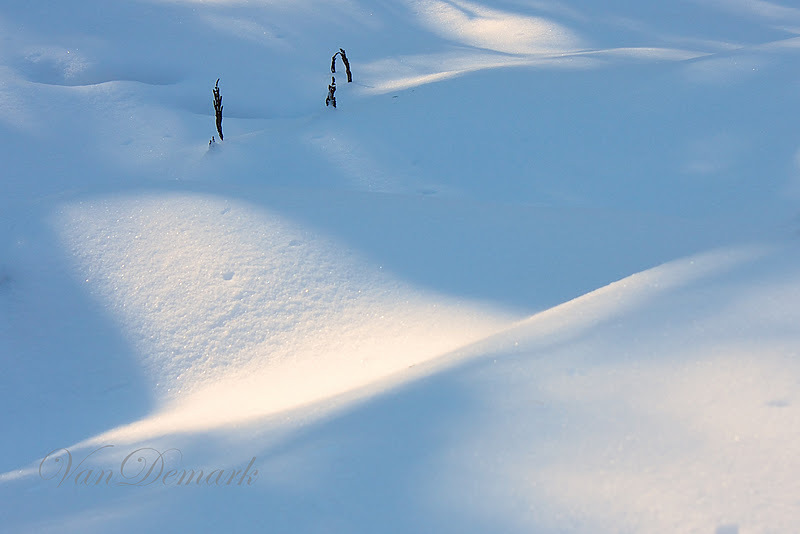 Beautiful photos from the stunning landscape moving right down to the sparkling snow crystals. The grand picture and the macro, each is wonderful. Such beautiful shadows, Anna. Love the one with the sun on the snow.